Thank you to all who entered my blog contest................sure, 3 is a small number, but you have to start somewhere right? Anyhow, I loved all of your ideas but random.com says the winner is..............drum roll.............Kathy@! Another contest will be coming soon, so keep watching! 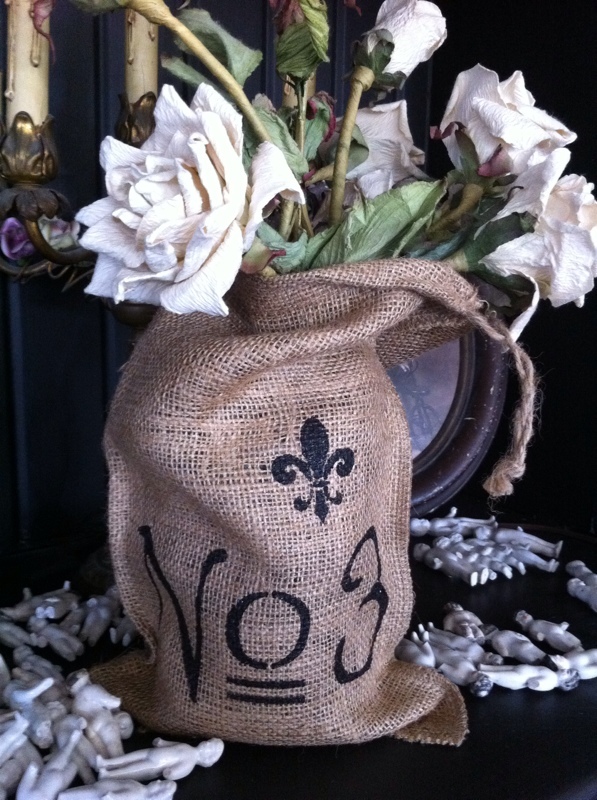 What do you think to my burlap bags I worked on this week?.......I`ve taken up stenciling with dimensional fabric paint..............pretty cool! Just wanted to pop in to say how much I love your painted burlap sacks...uber-beautiful! Maybe I`ll have one of these for my next giveaway! I too love the burlap bags - would love to get my hands on that stencil...LOL!